New Zealand’s population is set to reach five million late this year or early in 2020 with people moving to live and work the biggest contributor to the increase, officials suggest. The population reached 4.9 million at the end of September 2018, according to data from Statistics New Zealand and is currently increasing by one person every five minutes. In the 12 months to September 2018, the population increased nearly 90,000 and the figures show that more than two thirds of that was from migration. It shows just how popular New Zealand has become with people wanting to move there from all over the world. During the 20th century, natural increase was the main factor lifting New Zealand’s population, but in the last five years, migration has been the dominant factor driving population growth. The data also shows that more than a million people born overseas now live in New Zealand, while hundreds of thousands of New Zealand born live overseas, especially in Australia. 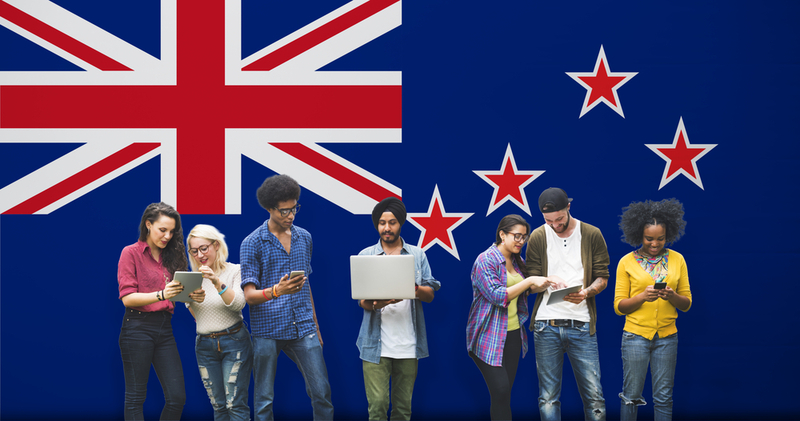 The figures have been published as new research shows that people who have recently moved to New Zealand are more trusting and feel safer than migrants who have lived in the country for five years or more,. However, they are more likely to feel discriminated against than people born in the country and long term migrants who have lived there for five years or more and less likely to feel they can be themselves, according to the General Social Survey published by Statistics New Zealand. Overall some 26% of recent migrants said they’d felt discriminated against in the previous 12 months, compared with about 16% for both long term migrants, and people born in New Zealand. ‘Newer migrants were more trusting of other people, and also felt safer than long-term migrants and New Zealand born people,’ said labour market and household statistics senior manager Jason Attewell. Compared with long term migrants and people born in New Zealand, recent migrants were more likely to feel safe using or waiting for public transport at night, and when walking alone in their neighbourhood after dark. This was particularly the case for people aged 25 to 44 years, who made up two thirds of the recent migrant group. A significantly larger proportion of recent female migrants felt safe using public transport and walking alone after dark when compared with women born in New Zealand. When using public transport at night, 57% of recent female migrants said they felt safe or very safe compared with 30% for New Zealand born women. The differences in feeling safe between women and men were also smaller for recent migrants when compared with people born in New Zealand. The type of neighbourhood people lived in had a strong association with how safe people felt. People from more deprived areas were less likely to feel safe. Some 32% of recent migrants lived in the most deprived areas in New Zealand. This compares with 27% of long term migrants and 29% of New Zealand born people living in these areas. ‘Recent migrants always felt safer than other people living in the same area, regardless of how deprived the area was. This could be because some recent migrants feel New Zealand is a safer place to live than where they originally came from,’ Attewell pointed out. New Zealand citizenship after expired Australian permanent residency.